Ok. Take a break from your trowel and potting mix, oven and stove and let me take you on the adventure of a lifetime. 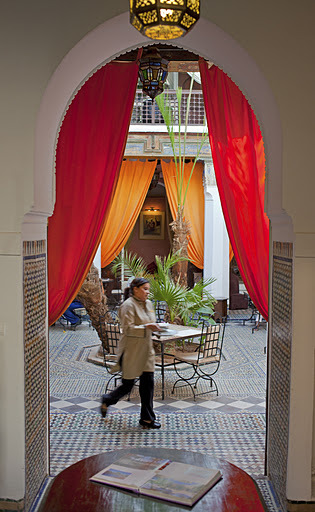 This is the breakfast room at our hotel in Marakech, Morocco – The Angsana Si Said Riad. Heavenly isn’t it? 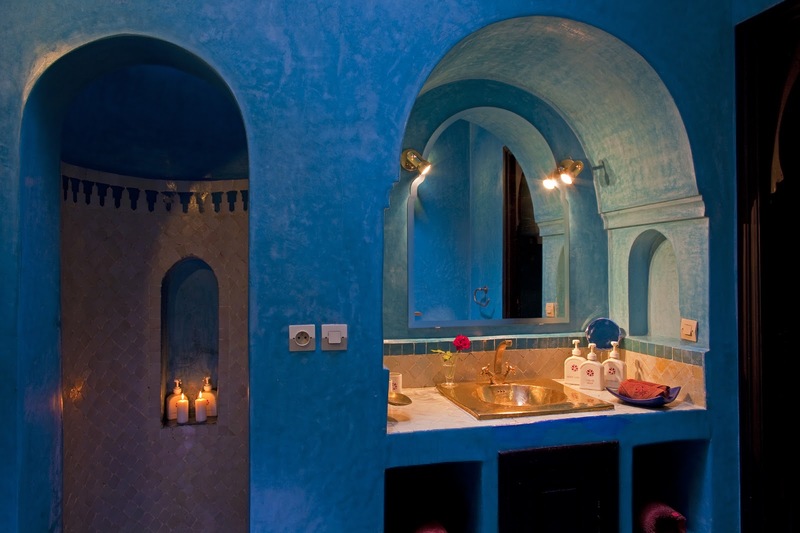 The Angsana Resort Group has a collection of 6 riads in Marakech ( former aristocratic homes) in the Old Medina which have been exquisitely converted into luxury accommodation while preserving their historical features. 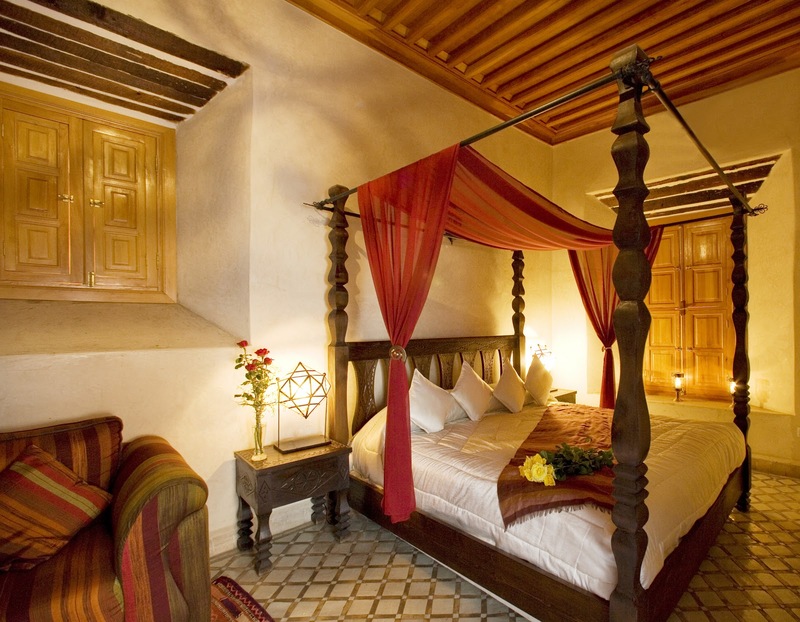 Each riad has a central courtyard, spacious rooms, pool, a fireplace, and roof terraces. 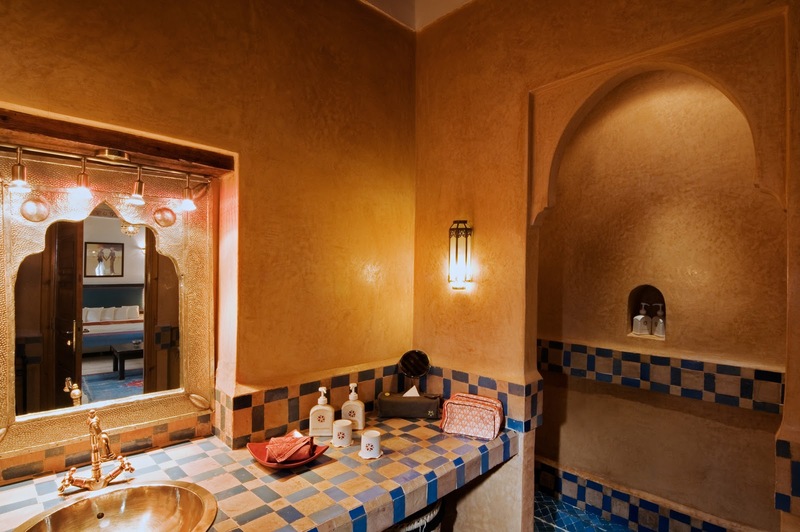 There are beautiful zellig (ceramic art) tiles, gabbs (picked honey comb plaster work) and tagguebasts (cornices of sculpted plaster) all restored by local artisans. I Dream of Jeannie meets Arabian nights….. 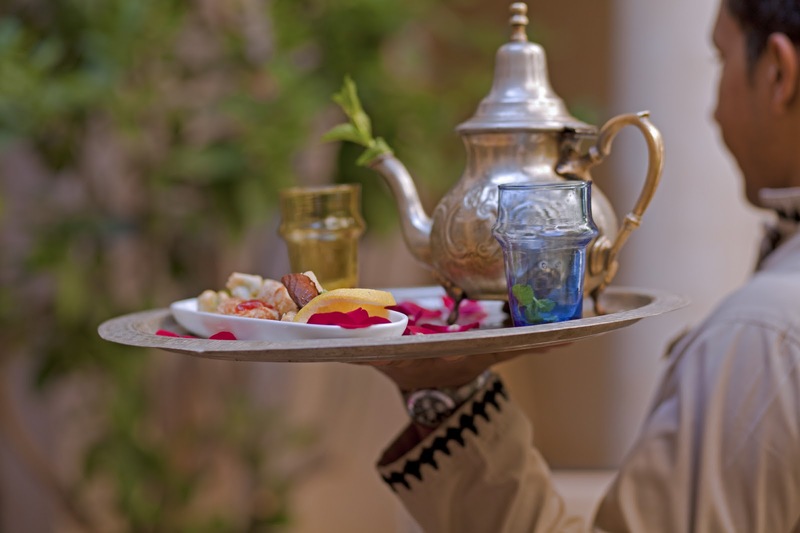 Being a former French colony, breakfast is a combination of croissants, pastries, eggs and jams or traditional Moroccan breads, rotis and cheeses. And the perfumed filtered coffee and mint tea will leave you in raptures. Service is 5 star. 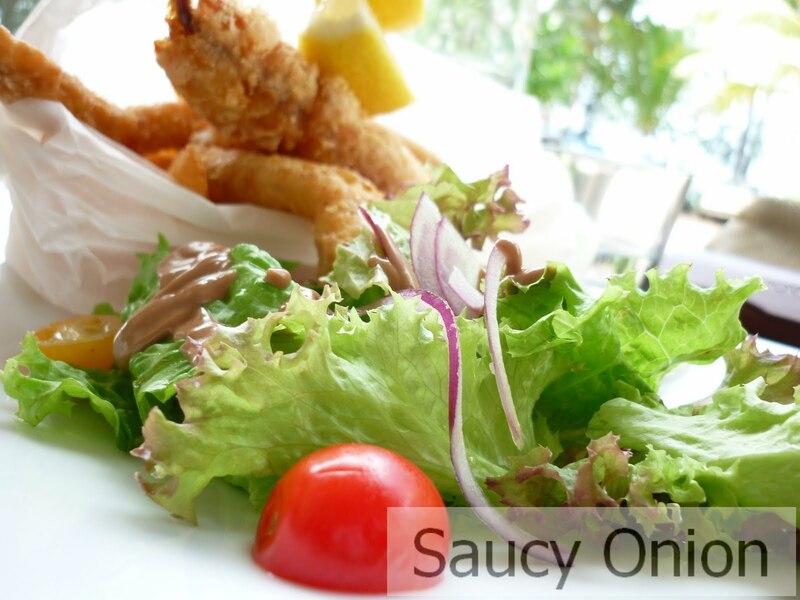 Your every indulgence is seen to efficiently and discreetly. 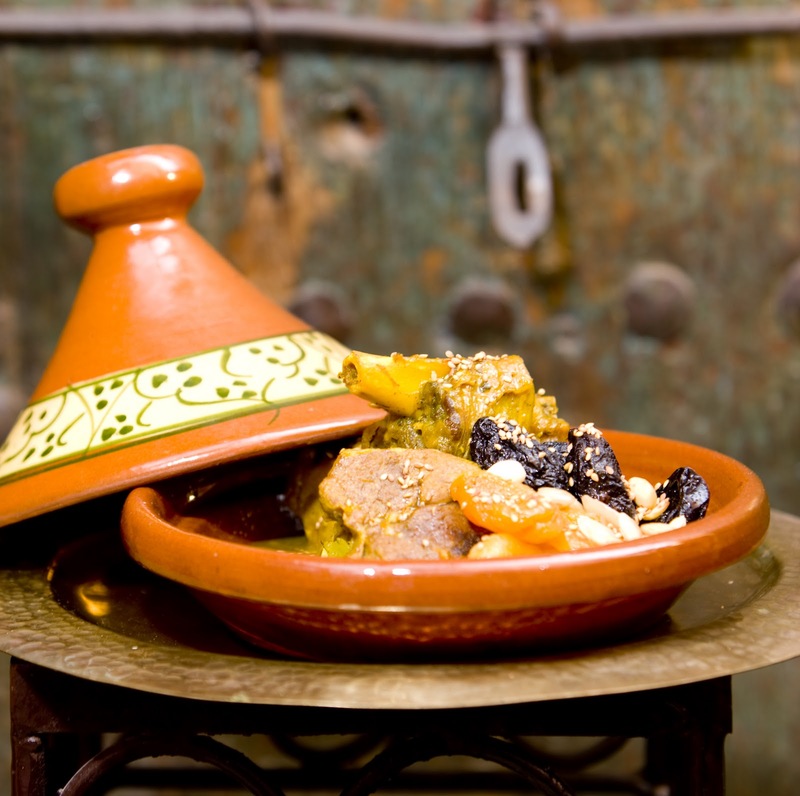 Each riad has a menu of local Moroccan dishes including of course a wide variety of tagines. They feature the local ingredients of goat, lamb, chicken, almonds, dried fruit, saffron and paprika. 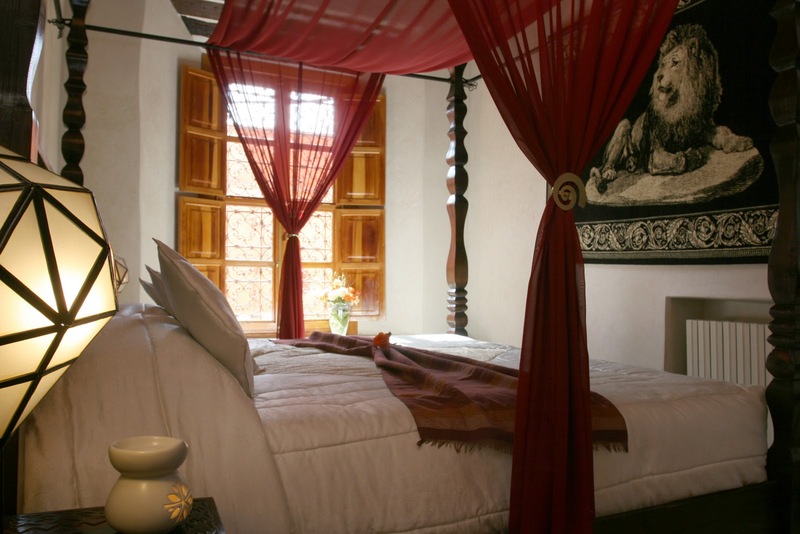 The bedroom suites are adorned by tadelakt, a Moroccan plastering technique, and have local antiques, hand-woven carpets, and contemporary artifacts and textiles. Outside, the Old Medina is buzzing with motorbikes, noisy crowds and loud merchants spruiking their wares. But in our room it is an oasis of calm. 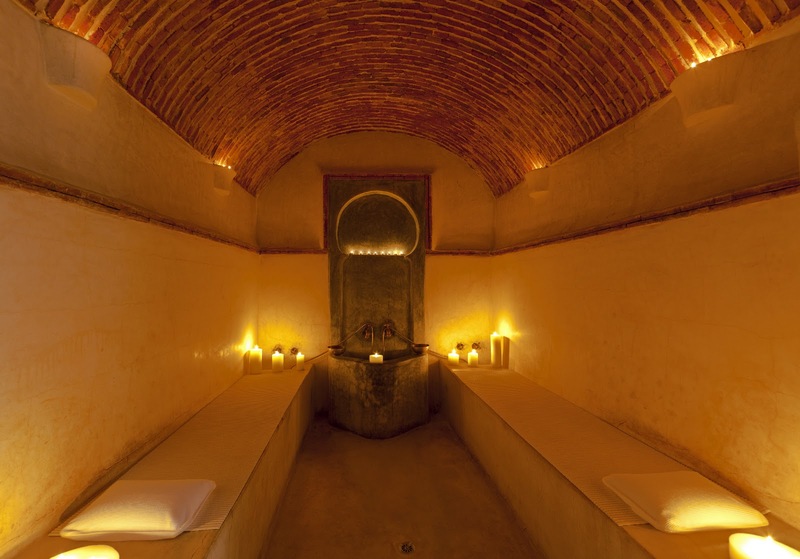 And then you experience your first hamman – the Morrocan weekly spa and massage ritual. 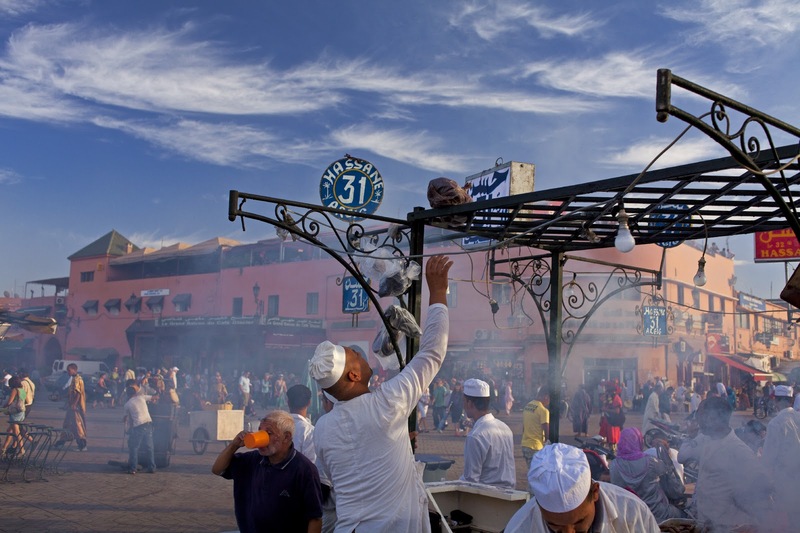 then some mint tea and Moroccan sweets…. and a relaxing drink on the roof-top terrace. 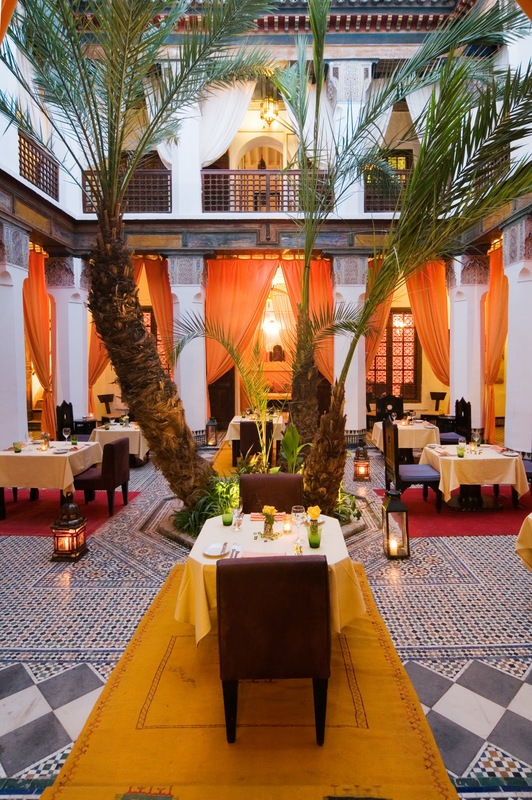 While Morocco is a Muslim country, all the Angsana riads have terrific wine lists serving surprisingly excellent local wines. The Romans first introduced wine-making to the region and France developed the industry into a thriving export business until the French relinquished control of Morocco in 1965. My favourite was a Chateau Roslane white from the Les Celliers de Mekenes winery. It’s a pity more Moroccan wines don’t find their way to Australia. 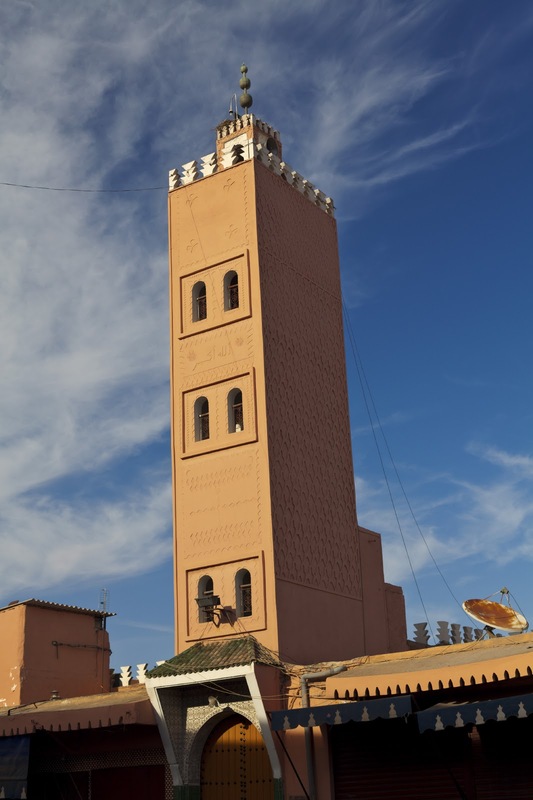 The Koutoubia Mosque built in the 12th Century. The amplified call to prayers 5 times a day across the city takes a little getting use to. 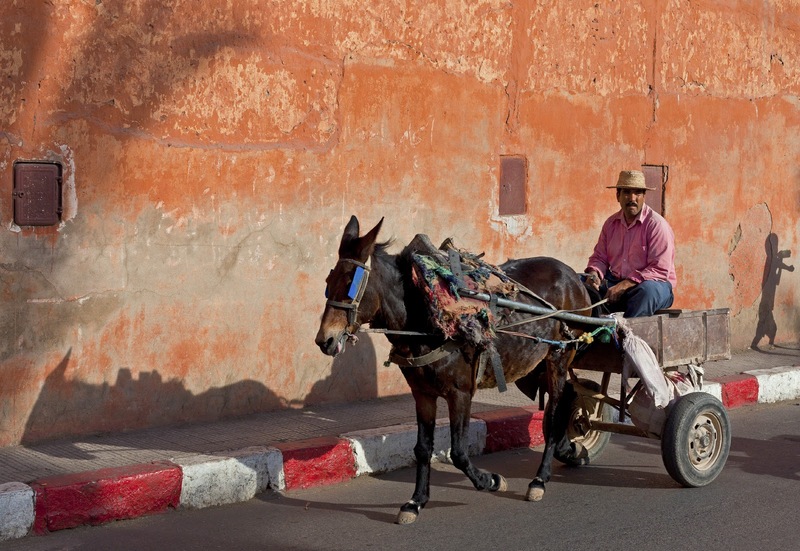 donkeys and carts are still the best way of getting around in the narrow streets and souks. 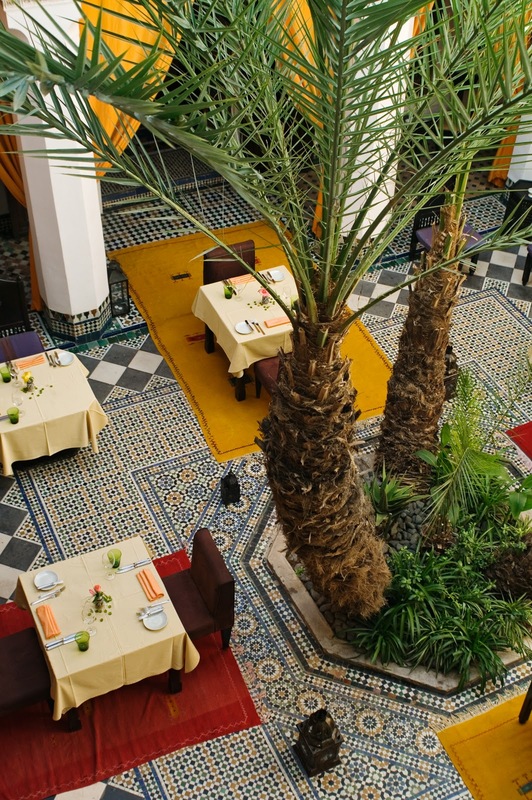 The Angsana resorts are all situated a short walk from the busiest square in Morocco – the Jemaa el Fna. This is one crazy place that has to be experienced to be believed. 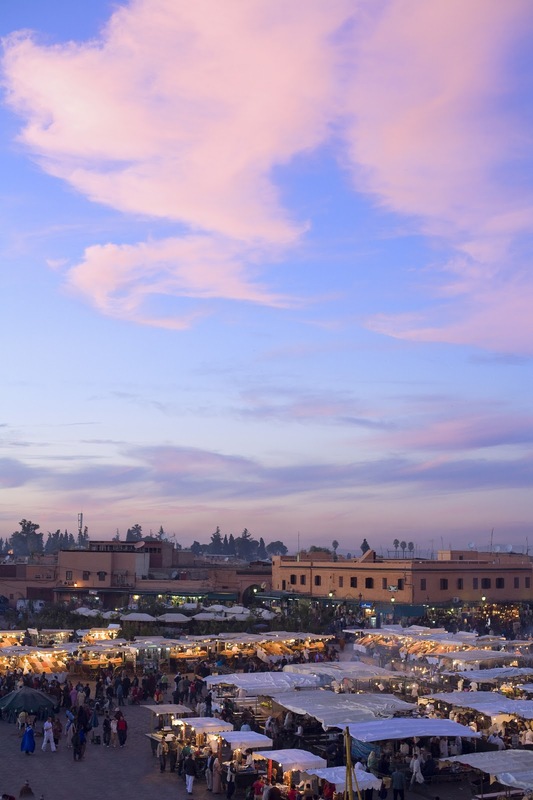 You’ll find snake charmers, monkey-sellers, food stalls, acrobats, dancers and musicians. 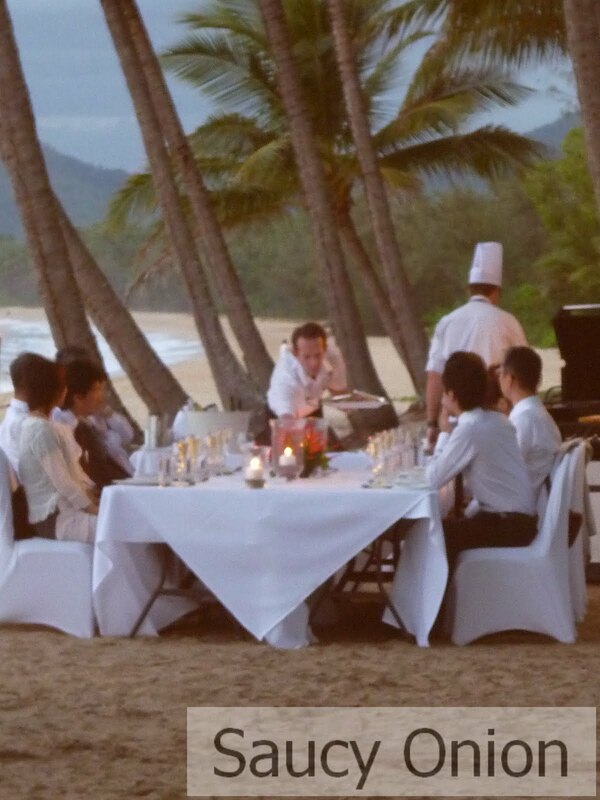 And if all this isn’t enough the Angsana’s managers will arrange tailored tours for you. We enjoyed a guided walking tour through the city with our brilliant guide Ismail. We also drove East through the deserts and oases to the white-washed seaside resort of Essaouira. On our way we saw what looked like an hallucination. But it wasn’t. There were goats in this tree. 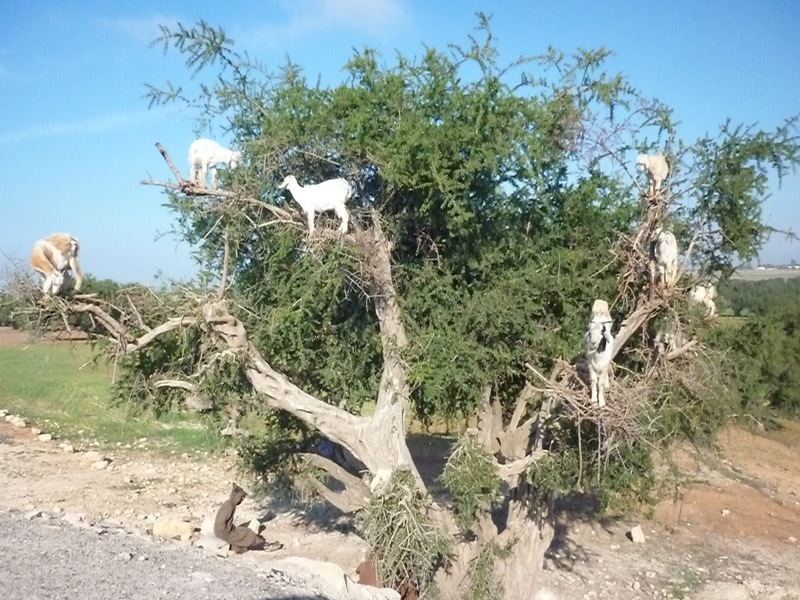 Apparently the fruit of the argan tree are delicious and the local goats often clamber up to the top branches for a feed! 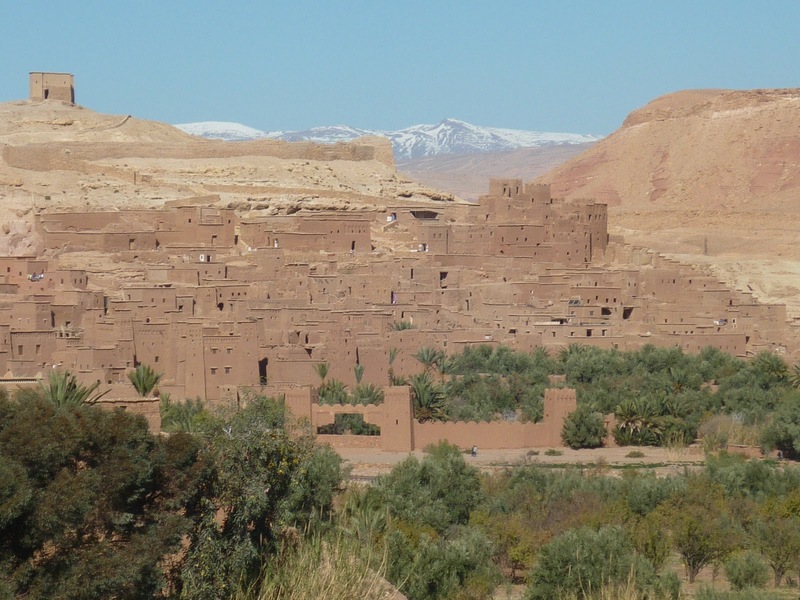 And the next day a breath-taking trip over the snow-covered Atlas mountains to the 12th Century fortress city of Ait Benhaddou. 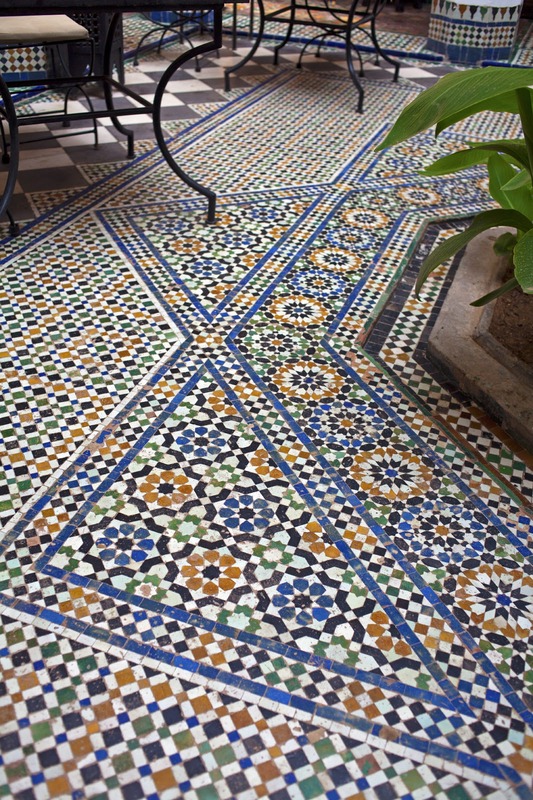 Marakech is a dizzy exotic whirl of colour, excitement, romance, and adventure. It will leave you breathless. This entry was posted in Angsana Resort and Spa, Hotels, Marakech, Morocco on January 23, 2012 by dearindira2013. 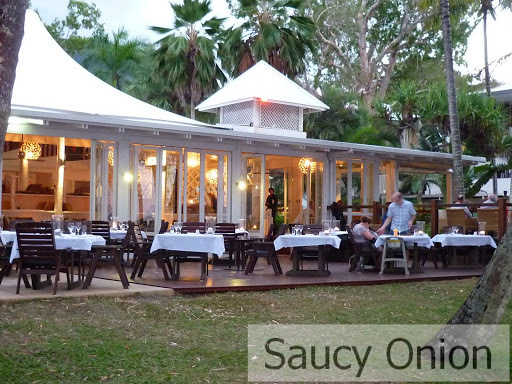 Frankly we wanted to go back to NuNu the next day for lunch again but we couldn’t risk enduring the same waiter. 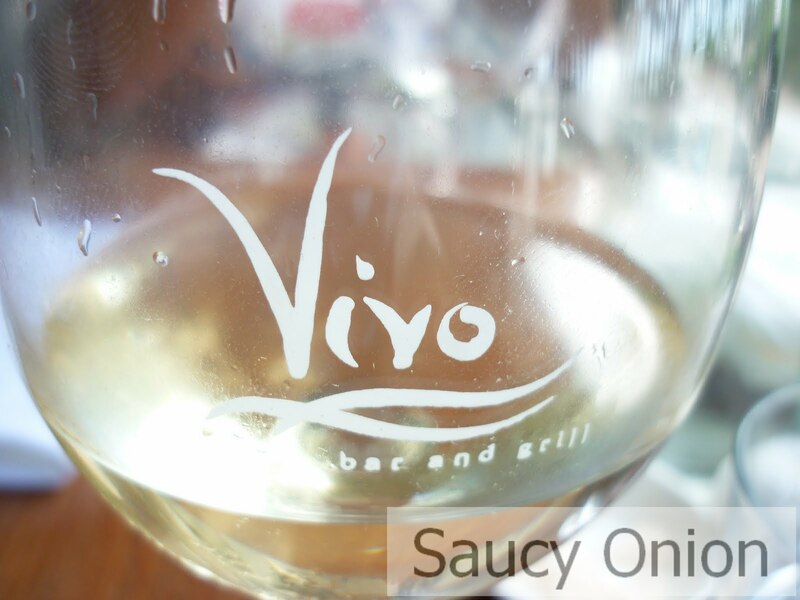 So we tried a groovy restaurant a few doors down – Vivo Bar and Grill – with a wide, inviting colonial verandah and shutters. The fish and chips came wrapped like a bon-bon in some grease-proof paper. 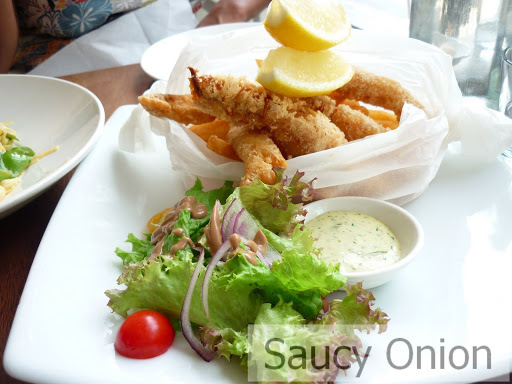 While the fish was fresh the batter was slightly crystallised and a bit greasy. The triple-cooked chips were easily some of the best fries I’ve tasted. Crisp, salty with a fluffy interior. 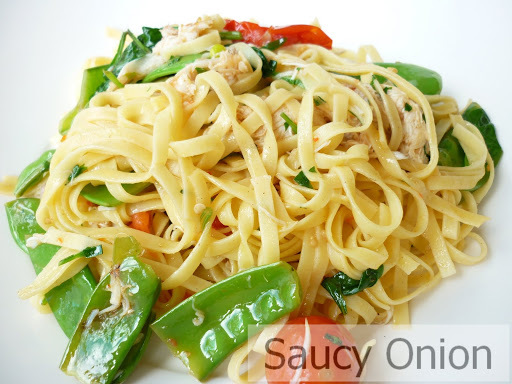 We also shared a blue swimmer crab with chilli, snow peas and fresh tagliatelle pasta. 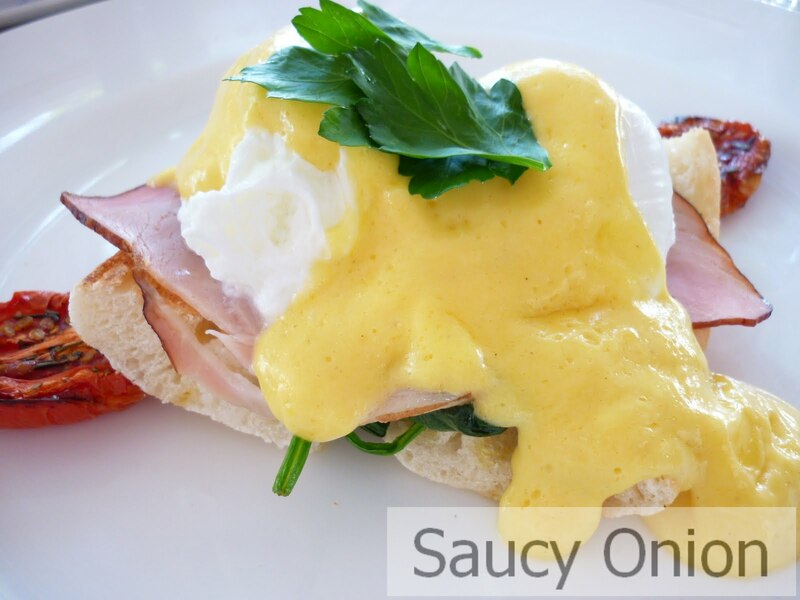 Perfectly balanced flavours and squeaky fresh ingredients. Another swim, a walk and a bit of footy on the telly and we slept deeply ready for our flight back home. 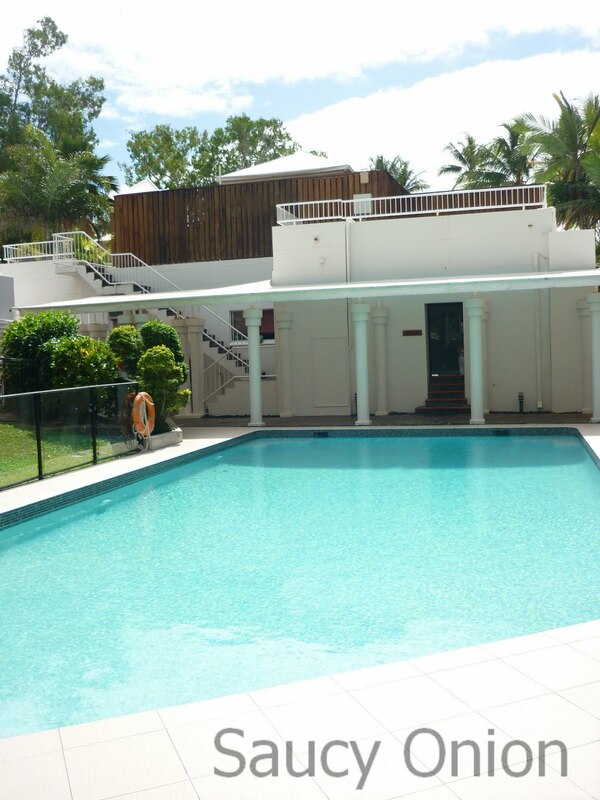 This entry was posted in Angsana Resort and Spa, Palm Cove on July 24, 2010 by dearindira2013. 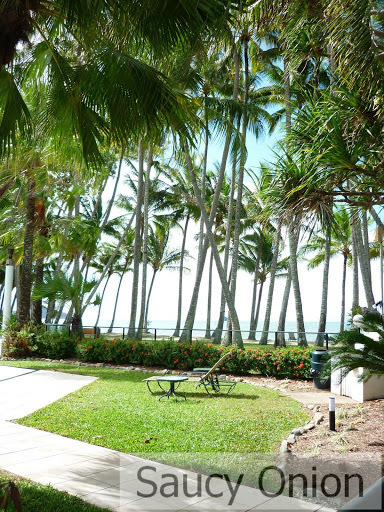 There are many styles of holiday accommodation at Palm Cove ranging from caravan parks to 5 star resorts. 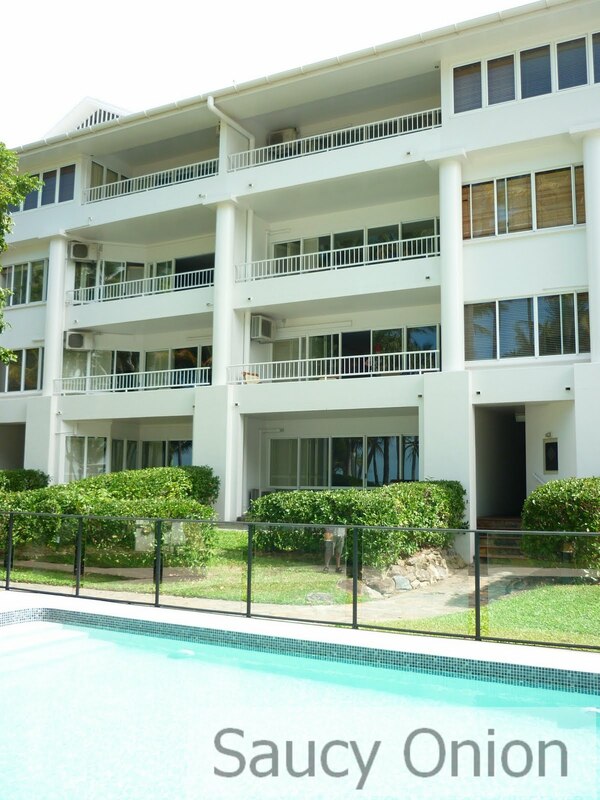 These come in one – three bedroom configurations. 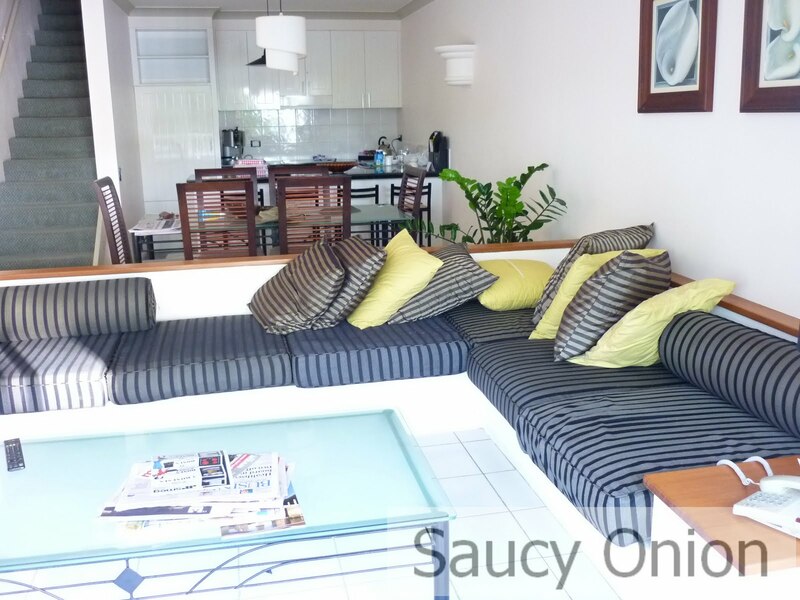 Insanely spacious and comfortably decorated. and Hawaiian massages. For an indulgent experience book a double treatment with your partner and receive a foot bath, tamarind tea and outdoor shower as well. 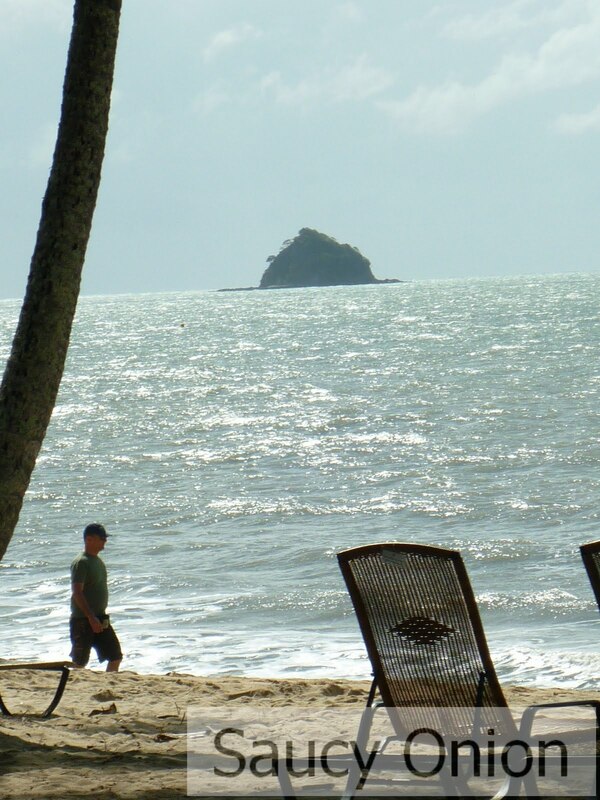 The big plus with the Angsana is that it is the only resort located right on the beach. 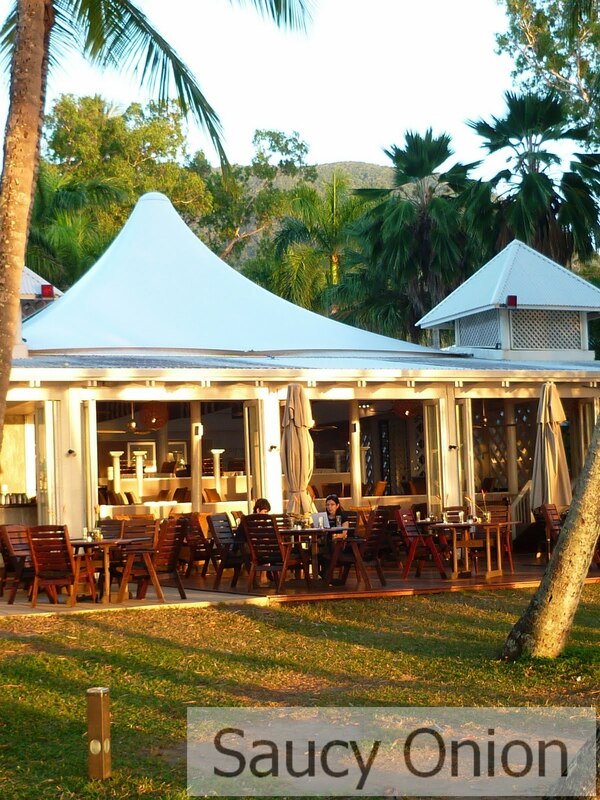 You can call up room service or breakfast at the resort’s beachfront Far Horizons restaurant. 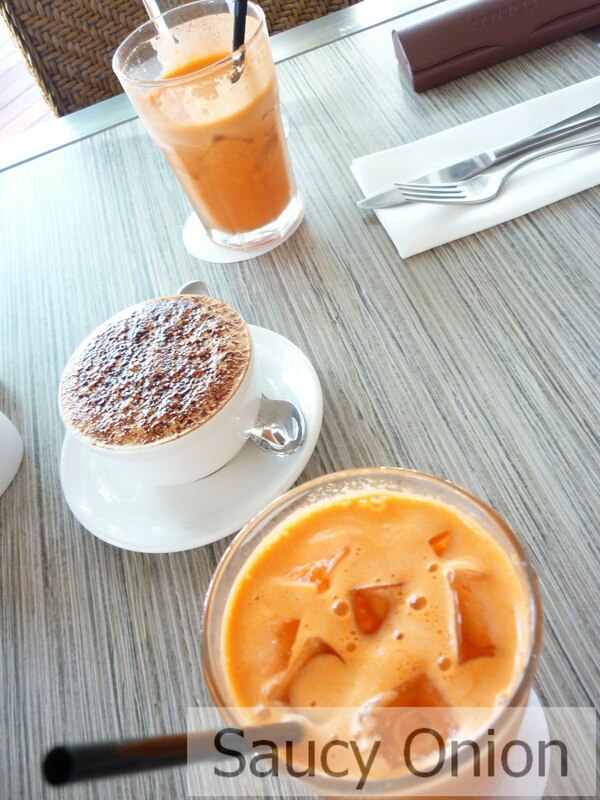 choose from fresh tropical juices…. 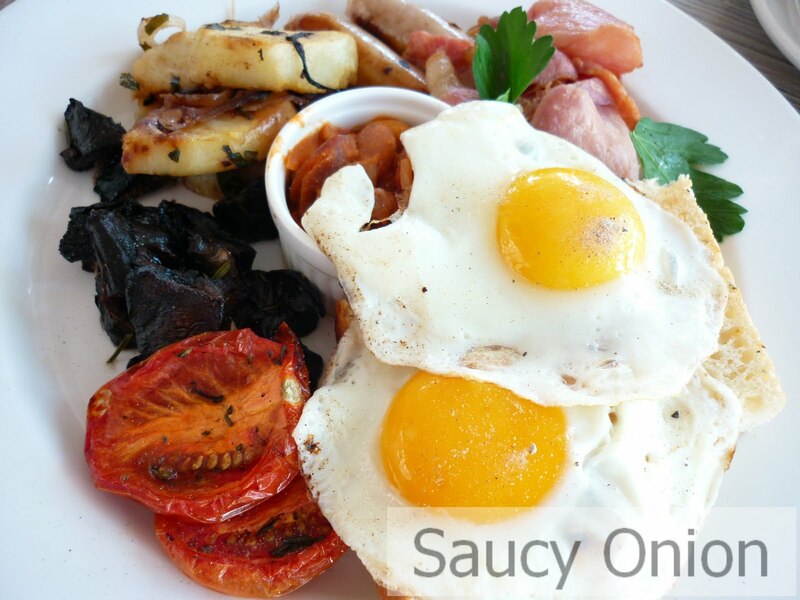 Mark couldn’t go past the Far Horizons Big Breakfast which was beautifully cooked. 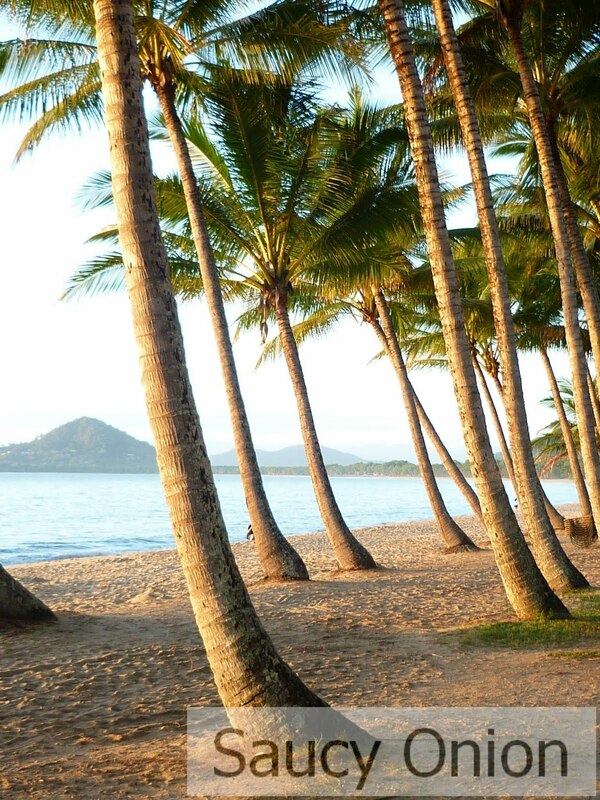 time to walk off that breakfast..
.. and explore the coastline a little. Another development called The Village is going up on the other side of the creek. 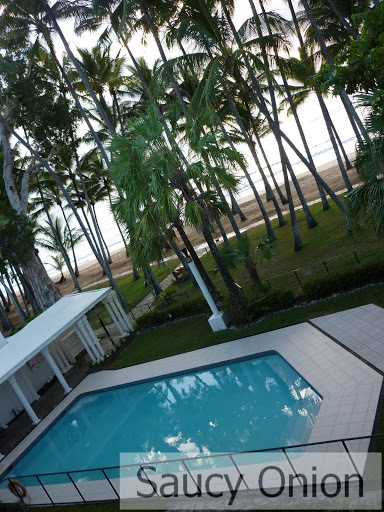 I wonder how it will change Palm Cove and impact on the local environment. Hello! 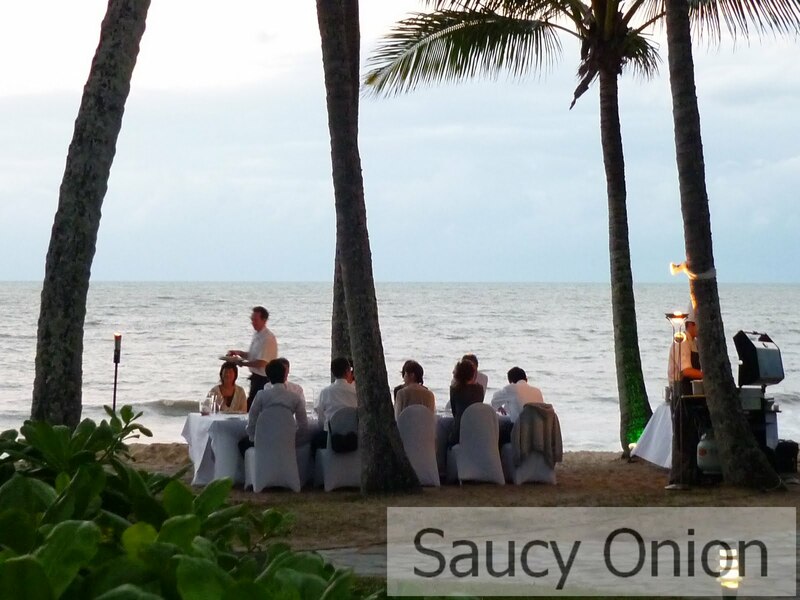 Palm Cove is a popular wedding destination – especially for Koreans. Blue swimmer crab ravioli, and a tasting plate of dumplings, and lamb cutlets. No pushing boundaries here. 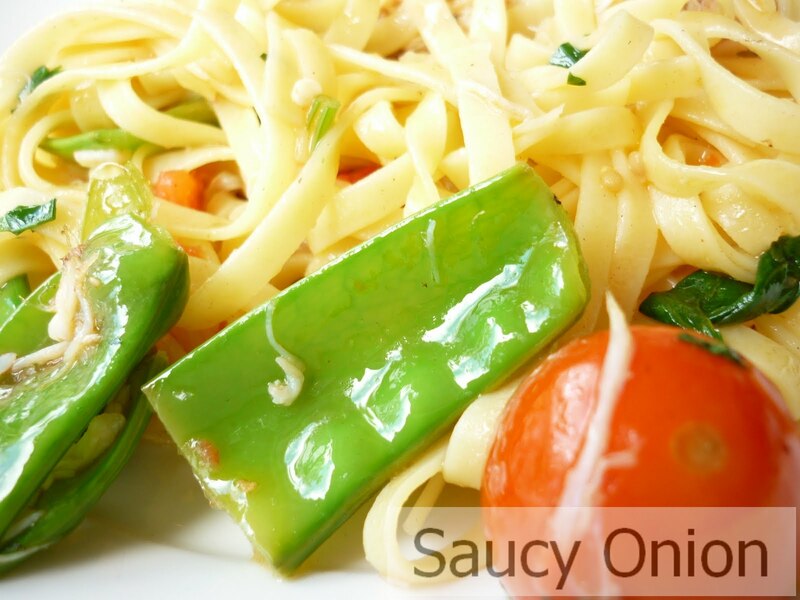 Just fresh uncomplicated dishes. 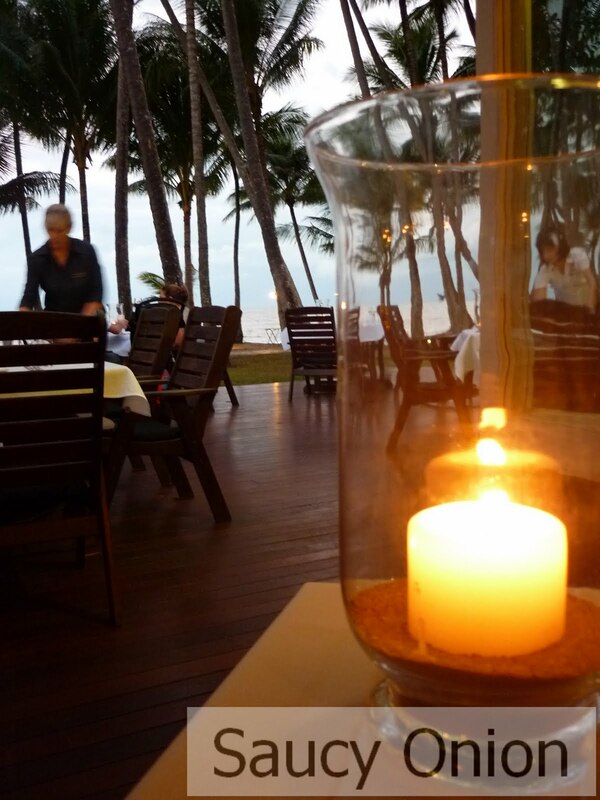 This entry was posted in Angsana Resort and Spa, Palm Cove, Restaurants on July 21, 2010 by dearindira2013.